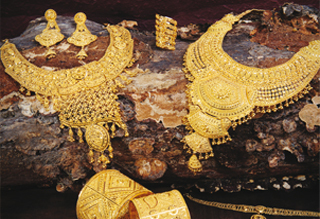 jewelry purchased from the Little India Jewellers is accepted for credit or exchange if returned in saleable condition within 7 days, accompanied by a sales receipt. Some exclusions may apply. 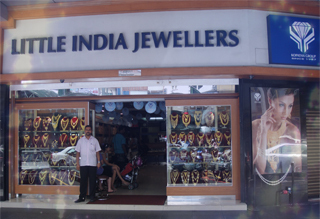 you may take your return to the Little India Jewellers. In order to make return or exchange please visit us at Little India Jewellers, Wisma Kopatha Jalan Masjid India, Kuala Lumpur, Wilayah Persekutuan Kuala Lumpur, Malaysia or use blow link. Bride? Check. Groom? Check. Bridal Jewelry? Your wedding date is quickly approaching. This moment that has taken months, sometimes even years, to plan and you suddenly realize that you have no jewelry to wear! For most brides, that is one of the most personal accents to your wedding ensemble. While your dress may be classic, clean lined and proper, you can show off your funky side with a great complimentary piece to your wedding colors. You like shades of purple, green, blue? Any color offers a variety of options and styles to wear. No one out there is the same, so why not let your bridal jewelry be a true representative of you! Stop in with a picture of you in your dress, an idea of how your hair will be and let us help you with the rest. We have a style for every bride and your bridesmaids too!